Bounce House Place is an indoor party and playtime center for children located in Tampa, Florida. Providing an inflatable playground for toddlers to 12 year olds, children can safely bounce, jump, and slide in our play center. As a neighborhood destination for family fun in a clean and creative environment, Bounce House Place offers “worry-free” parties and other private events as well as open play for our customers. Only at Bounce House Place will you find huge, custom-made inflatable jumpers and permanent structures that include the tallest and longest indoor inflatable slides. Our play facilities are award winning and offer the best equipment that is perfectly sized for kids to play in, ensuring an active, memorable and fun-filled experience for everyone! At Bounce House Place, our mission is to make children happy by continuously striving to stay ahead of the industry standards by providing exceptional customer service, fun, safety and cleanliness. We’re committed to entertaining kids and have been recognized as a leader in the Tampa area for children’s entertainment. We understand the importance of staying active while having fun, and we also know the kids love to bounce! That is why at Bounce House Place, we work hard to provide the best and safest equipment available and are honored by the many loyal families we see for open bounce days and parties year after year. Rain or shine, our facilities are fun for all seasons and it is always a great day at Bounce House Place! There is a reason that Bounce House Place is the #1 choice among parents and kids and it includes the cleanliness of our facility, bright and open layout of our inflatable arena and the friendliness of our staff. With the integrity and safety of our inflatables a top priority, we are proud to announce that our inflatables are made in the USA and manufactured with 18.5 Commercial Grade Lead Free Vinyl. That is just another company standard that sets us apart from the competition. Looking for another way to jump for joy? It’s party time! 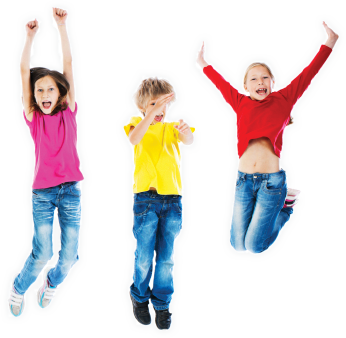 Birthday parties at Bounce House Place are the perfect way to give your child the experience of a lifetime. Your group has access to all of our giant inflatables, and you get the peace of mind knowing that your guests are having an awesome time. Recently voted “Best Place to Have a Birthday Party” by local parents, party guests bounce for the first hour and then eat and celebrate in our party room. Bounce House parties are also perfect for team celebrations, and for any occasion for a group that wants to get together and have tons of fun bouncing around. Check us out and see why we are the area’s premier party place. As a family owned and operated business, we are so grateful for your support and enjoy relying on our customers and our wonderful team of employees for their feedback and great ideas. We credit our success to support from our local community and look forward to serving you for many years to come! Call Bounce House at 813-265-8000 to book a reservation for a party or event. We are conveniently located at 5208 W Linebaugh Ave. in Tampa, FL. Call Bounce House at 813-265-8000 to book a reservation for a party or event. We are conveniently located at 5208 W Linebaugh Ave. in Tampa, FL..